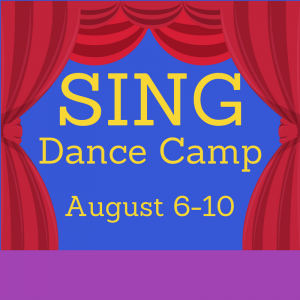 A whole week of dancing fun! 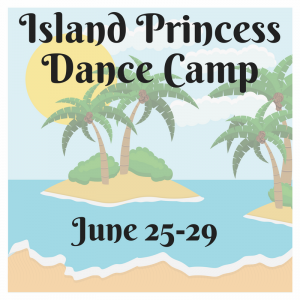 Click here to register your dancer! 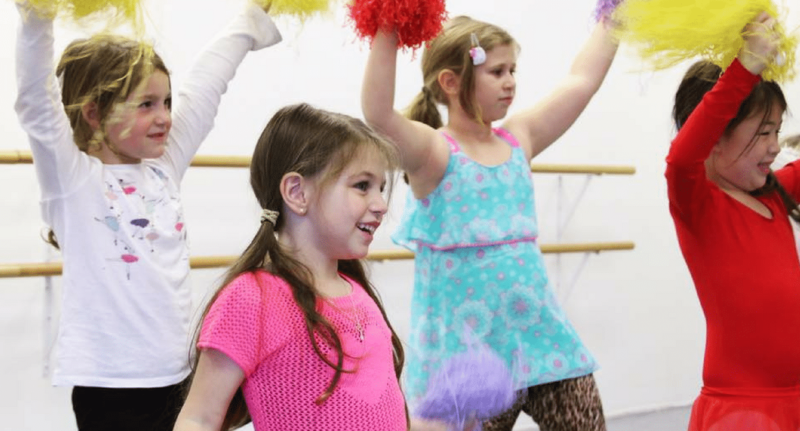 Check out our dance camp video to get a sneak peek into all the FUN we are having at camp! 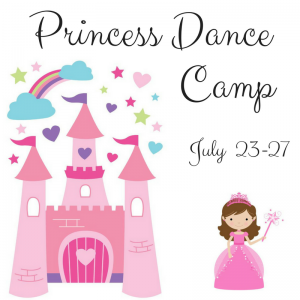 Check out our dance camp video to see all the FUN we are having at camp! 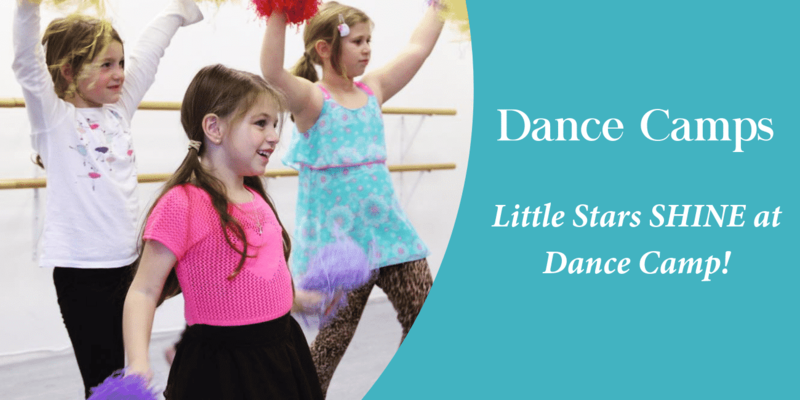 Little dancers have a blast learning several styles of dance, doing fun crafts, and making their own props for a performance. Campers put on a show on Friday to perform several routines for parents and showcase what they have learned over the week. 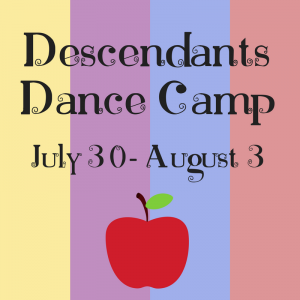 Camp enrollment is limited to 10 students to give each dancer individual attention. Have a blast each day taking engaging dance classes, playing fun dance games, and participating in exciting activities! Love craft time when we make our own props and backdrop for a performance at the end of the week! 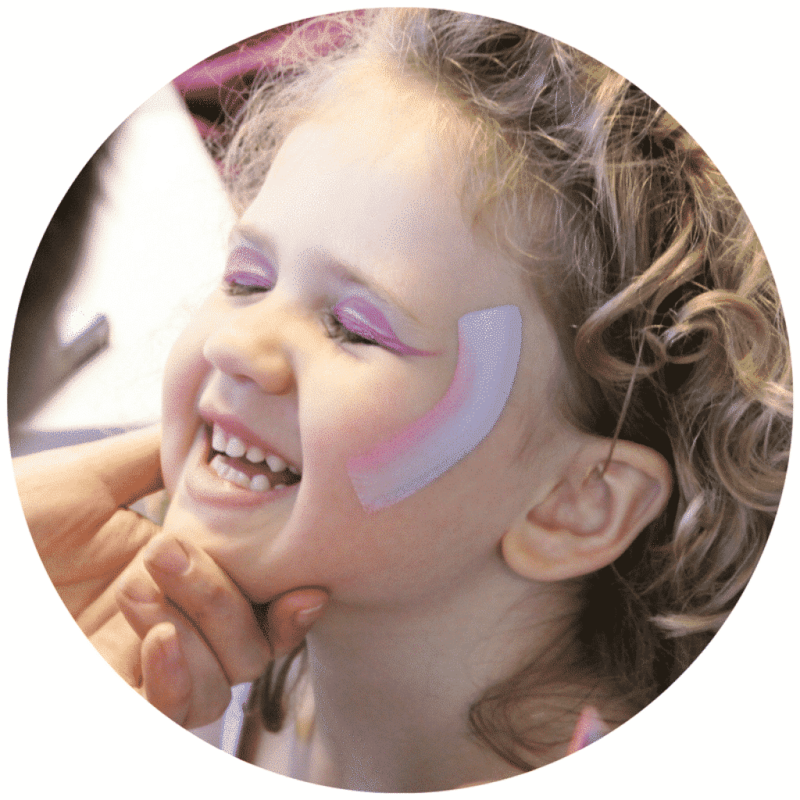 Transform into a princess, a fairy, or whatever their heart desires as we get professional face painting for the big show! Be filled with excitement and pride as they perform for family and friends to showcase what what they have learned! 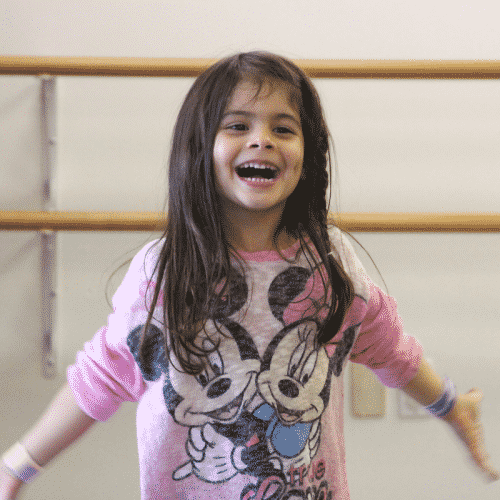 Dancers have a blast each day taking engaging dance classes, playing fun dance games, and participating in exciting activities! A favorite part of the day is craft time when we make our own props and backdrop for our performance! Campers are filled with excitement and pride as they put on a performance at the end of the week to showcase what they have learned! Performance on Friday so you can watch your star shine! A fun new theme each week – new songs, new dances, and new crafts! Performing on Friday where they shine and show their friends and family everything they have learned! Ready to register your dancer? 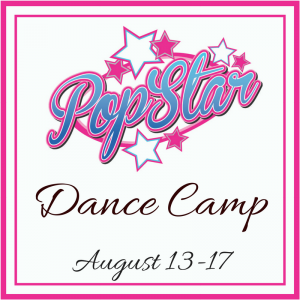 Click here to download our exclusive Dance Camp Guide for all the info you need to know! Click the link below to download our exclusive Dance Camp Guide and FAQs for all the info you need to know! Click the link below to download our free Dance Camp Guide and FAQs for all the info you need to know! 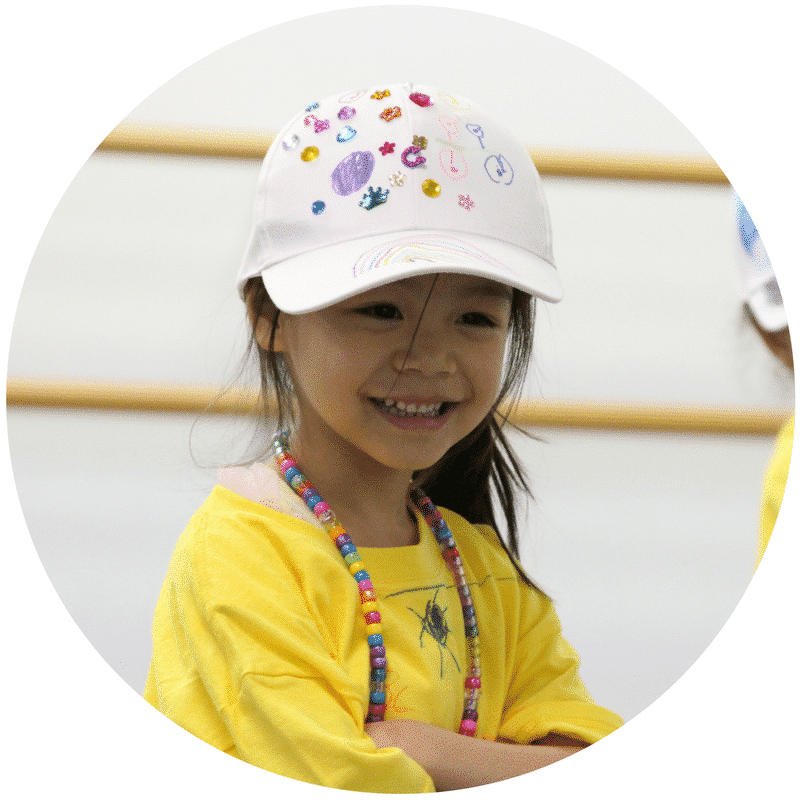 Camp is always limited to 10 dancers so each child can receive individual attention. Dancewear or clothing that is easy to move in such as leggings and a t-shirt. Ballet and tap shoes are required, which we have for sale at the studio, so you don’t have to make a last-minute trip to a dancewear store! Here is an example of our schedule for our camp day so you can get an idea of all of the fun we are having! 11:45-12:00 – Free play time! 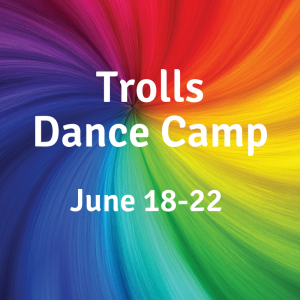 Click the link below to receive an email with all the info you need to know about Dance Camp! lots of fun dancing and activities! 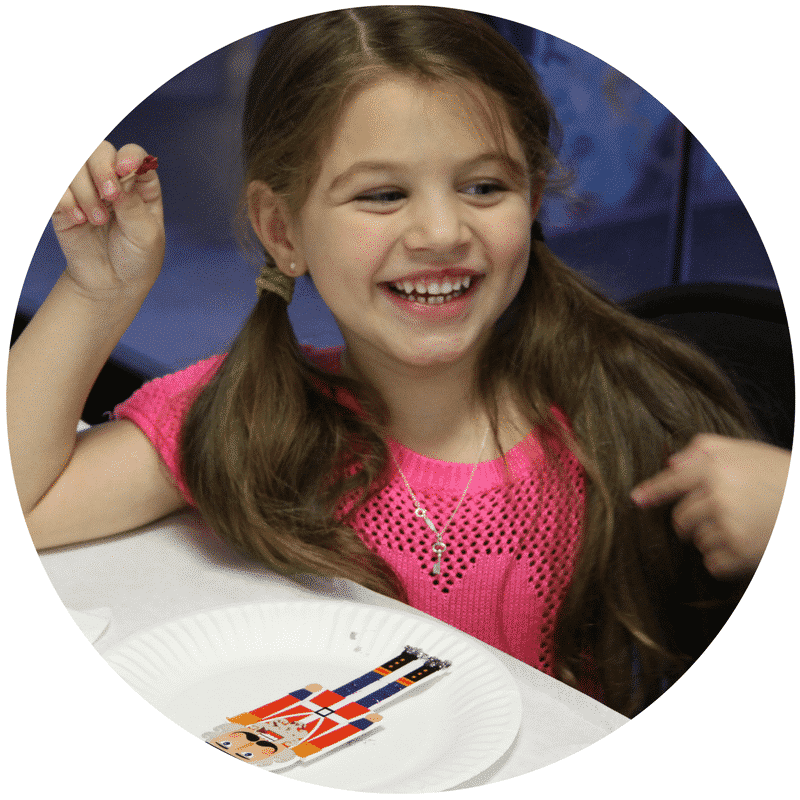 We have camps during spring, summer, and winter school breaks. Does my child really need ballet and tap shoes? Yes. 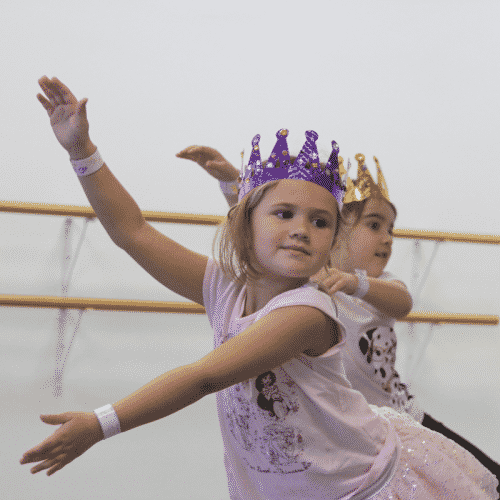 We do both ballet and tap class every day as well as perform both a ballet and tap dance in the Friday performance.  Having the proper shoes helps dancers feel ready for camp and inspires them to try their best. Like other activities, you need to have the right equipment so you can move properly. This helps prevent bad habits which can potentially lead to injuries. Do you offer extended care? Can I drop off or pick up my child outside of camp times? We are unable to accommodate children staying outside of camp hours at this time. We hope to be able to offer this in the future, so check back with us soon! Can my 3 year old come to camp? Probably not. While camp is tons of fun, it is a lot of physical activity and we have found that it is usually too tiring for children under the age of 4, especially if they are still napping. Please also keep in mind that children must be able to go to the bathroom by themselves. We love that your child can’t wait to join us, but we have this age limit because we just don’t think it’s a good fit for 3 year olds. If your child is within a month or so of turning 4, reach out to us and we will discuss further. Can I switch to another camp if our schedule changes? Probably, but there are a few restrictions. As long as the camp you want to switch to isn’t full and we are given at least 7 days notice prior to the start date of the camp you are registered for, then you may switch camps. This applies for the summer session only. We cannot extend camp to winter or spring breaks. Nope! You literally just need to bring your kid and their dance shoes- we take care of the rest! One of the awesome things about joining us for camp is that lunch is provided from the Corner Bakery Cafe. Each day you will choose from a selection of sandwiches and pastas as well as a choice of fruit or a cookie for dessert and milk or water to drink. While the lunches from Corner Bakery are delicious, feel free to pack a lunch if you have a super picky eater or if your child has food allergies or restrictions. There are dairy-free and vegetarian options on the menu. We may need to miss a day of camp- is that a problem? Not at all. We completely understand that sometimes you may need to bring your child late, pick them up early, or miss a day. We practice our dances for the performance each day, so they will have another opportunity to rehearse. If they miss out on making a prop for the show, we will make sure they are able to make theirs at another time. *If possible, please let us know in advance if your child will be coming in late, leaving early, or missing a day of camp. **We do not offer credits, refunds, or make-ups for missed camp days. The camp I want to register for is full- what can I do? First, check out our other camps to see if there is another week that your child can join us. Can’t come to another camp? Join the waiting list! Sometimes campers switch to another camp or are unable to attend due to illness. If you are on the list, you will be the first person in line if a spot opens up. You can register online for the waiting list or give us a call at (310) 923-0888. Campers should wear either dancewear or clothing that is easy to move in, such as leggings and a t-shirt. Campers also need both ballet and tap shoes. 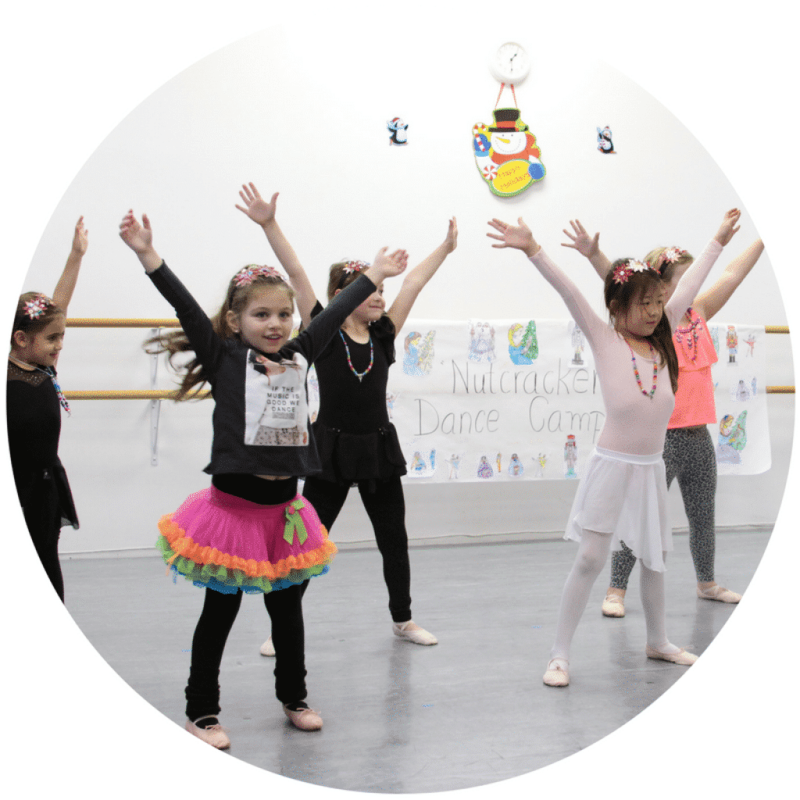 We take both ballet and tap class every day as well as perform both a ballet and tap dance in the Friday performance. We have dancewear and shoes for sale at the studio, so you don’t have to make a last-minute trip to a dancewear store! *UPDATE: Do I need to pack a lunch? Yes, you will need to pack a lunch Monday – Thursday. To ensure that dancers with food allergies and restrictions don’t feel excluded by being unable to eat daily provided lunches, dancers will bring their own lunch Monday – Thursday. However, we will have a pizza party on Friday! If you have a super picky eater or if your child has food allergies or restrictions, feel free to pack a lunch on Friday. *Please be sure to let us know of any food allergies or restrictions (vegetarian, vegan, etc.) as we do provide daily snacks. Summer Camp registration will open February 15! Space is limited! Register now to reserve your spot!